Since leaving More House it has been an incredible journey. My husband and I decided to move to our family house on the island of Yell, Shetland from St Katharine’s Dock, London in 2010. It was a move that we have never regretted. Having taught art for 30 years I wanted to have the freedom and space to develop my own art. Initially I explored textile techniques which I had worked on while teaching A level textiles at More House. I became hooked and my work is now mainly focused on working with fabrics. Having had a successful exhibition in 2011 at a local museum I started to make inquiries about the possibilities of another show and became very frustrated by the lack of exhibition space in Shetland. It was at this point that we decided that it would be very exciting to open an art gallery. 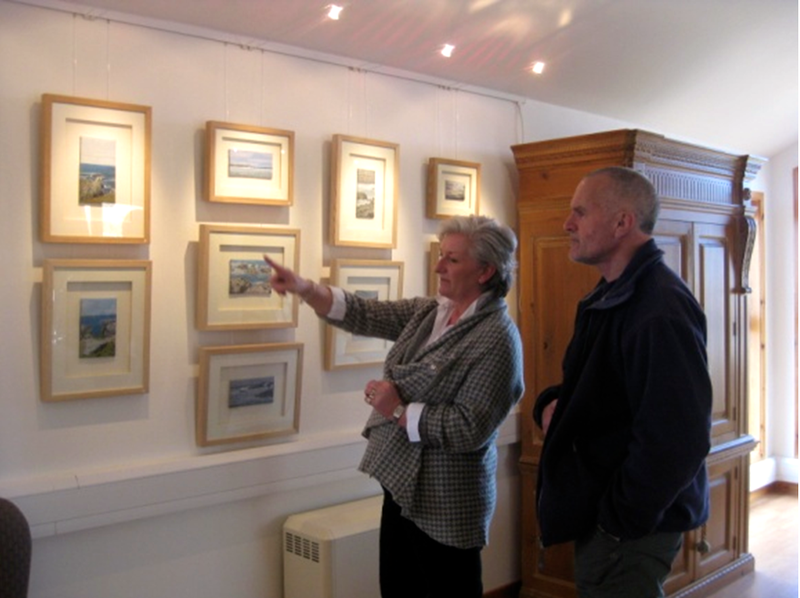 Having found the perfect building The Shetland Gallery opened in March 2012. It has been such an adventure. 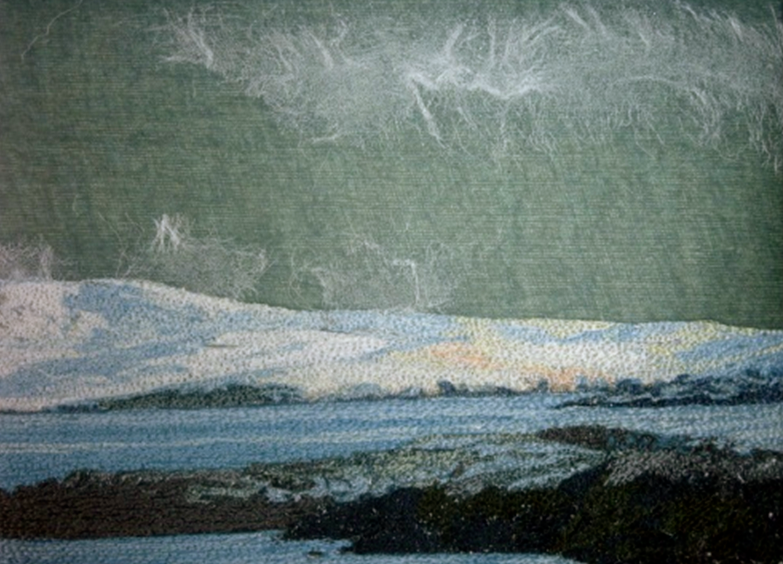 We only show work by local artists showcasing the best of Shetland art and high-end crafts. I have my studio at the gallery so visitors can see work in progress. 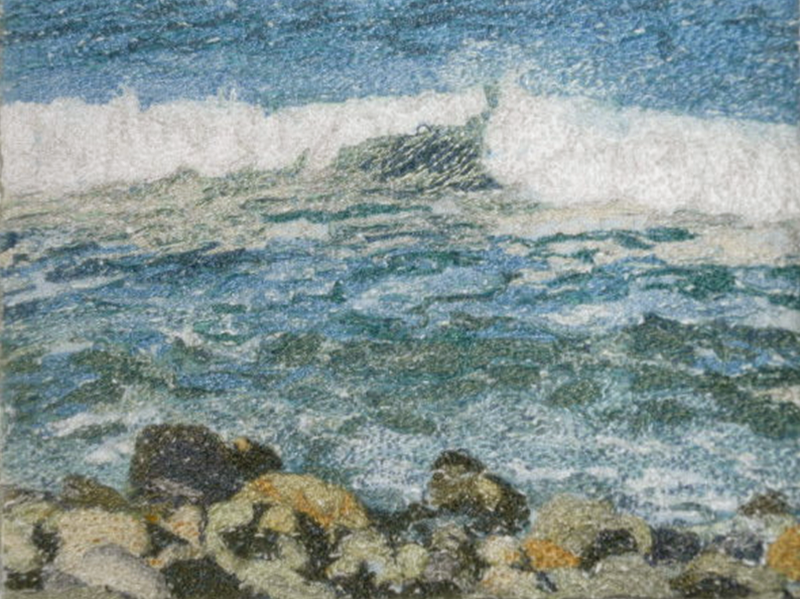 It was always our intention to take Shetland art outside the islands and we currently have an exhibition at The Caledonian Club, Belgravia, London which runs until the 21st March. It was a major task to bring 40 paintings down to London but the work has been very well received, so worth the effort. People ask how my life has changed and it couldn’t be more different from my journey to work on the tube and a stroll up Sloane Street to More House. 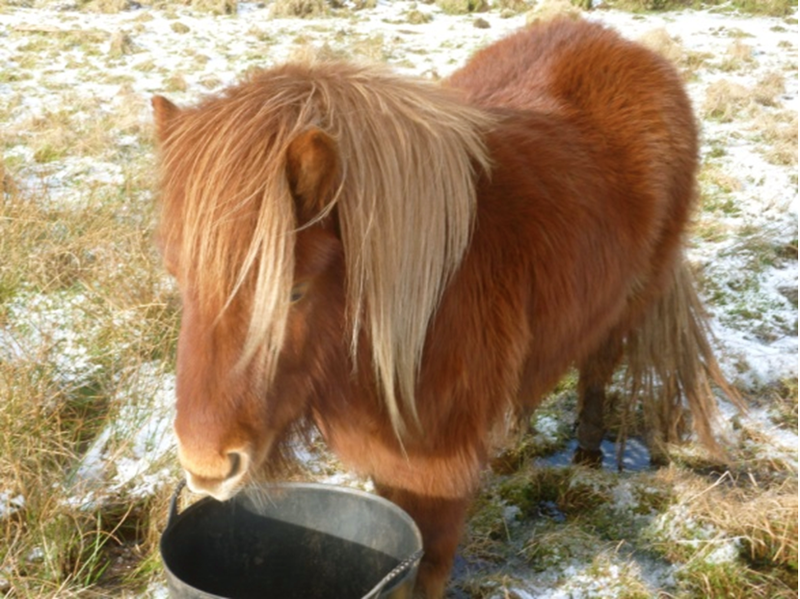 I now start the day in wellingtons and a barbour and it’s out to feed the hens and Shetland ponies. 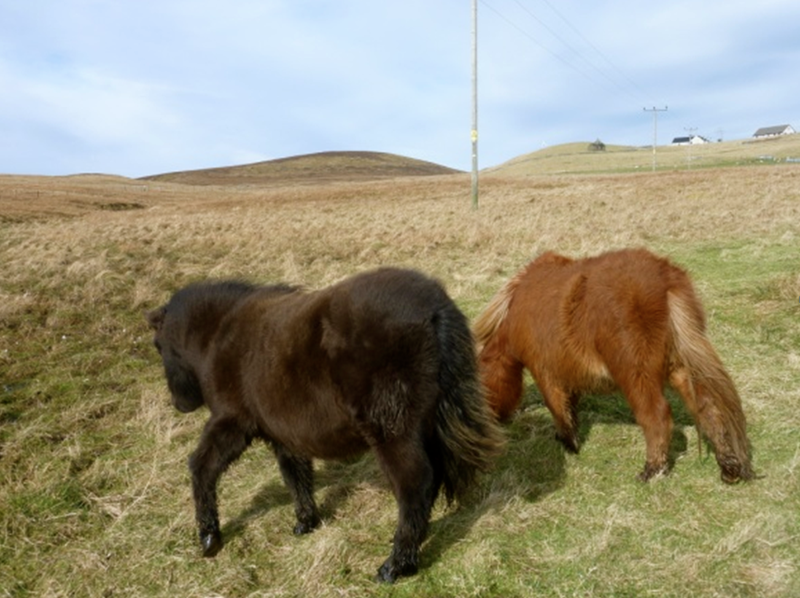 The ponies are called Fortnum and Mason, named after one of my favourite shops in London! Most days are spent at the gallery creating my textile pieces and meeting the interesting people who come to visit us. Having trained at art school in drawing and painting I’m not sure that my work would have developed in textiles if it hadn’t been for More House and introducing A level textiles to the curriculum.